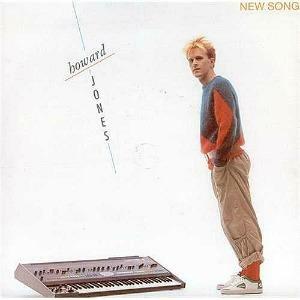 Firstly, I must mention Howard Jones' fashion sense. It was rather novel, after all, and he had a big and fashionable 80s hair style, but also wore what looked like one of his dad's jumpers! His art student fashion style was a bit confused, although, thankfully, his songs weren't. You may well remember Howard's debut single, the aptly-titled "New Song", which reached #3 in the UK and also the Irish singles chart. 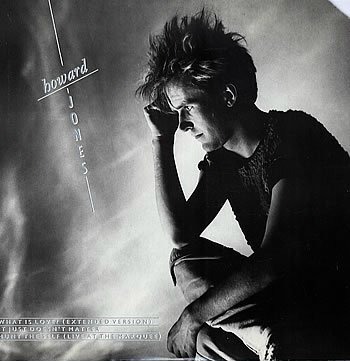 Welsh Synthpop solo artist Howard Jones achieved ten Top 40 hit singles during the 1980's. 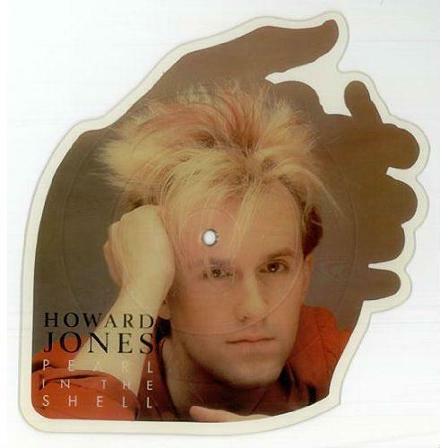 My personal favourite is Pearl In The Shell, where Howard sings "and the feel goes on!". The saxophone solo is played by Davey Payne who was in Ian Dury's band The Blockheads. Although Human's Lib topped the British album charts, in the US Howard's second album Dream Into Action was more successful and reached #10 in the Billboard Album Charts. In the UK the album peaked at #2, spending 57 weeks in the album charts. October 1986 saw the release of a third album, One To One, which peaked at #10, although only the lead single, All I Want, managed to reach the UK Top 40, peaking at #35. The final album of the 80s, Cross That Line, was not commercially successful, stalling at #64 (#59 in the U.S.) and producing no hit singles. 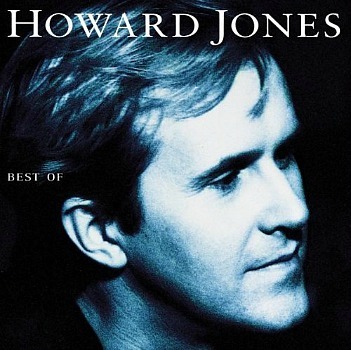 Starting with New Song, Howard Jones achieved a run of ten successive Top 40 hits during the 1980s, the final one being All I Want in 1986, which was the musician's last Top 40 hit in the UK. 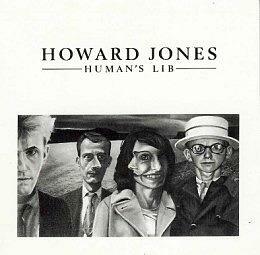 Howard Jones' debut album, Human's Lib, featured, arguably, the musican's best songs, which combined catchy synthpop melodies and thought-provoking lyrics, although the lyrics passed me by as a teenager growing-up in the eighties. But now, after listening to them more closely I've come to realise that this guy was a songwriting genius. Human's Lib entered the UK album charts at #1 and sold 100,000 copies within the first week. The album spent 57 weeks in the charts. If you've ever seen Howard Jones live, then you'll know that he's a damn fine pianist. Newer versions of some of his songs are more piano-based, and had he released these back in the 80s, he would probably have gained more notoriety as a musician like Elton John. But he should be proud that he used synthesizers and embraced the New Wave sound on his first album - so much more interesting! "What Is Love?" was the second single to be lifted from the album. Released on 26th November 1983, the synthpop tune charted one place higher than the debut single "New Song" and peaked at No.2 in the UK singles chart in 1983. What Is Love? also charted in the U.S., peaking at #33 during the summer of 1984. The song was also used in the 1984 movie Supergirl. Although I have added this particular song to the "Best Songs of the 80s" page, to be honest, I could have picked any of the singles from the Human's Lib album as they were all really decent tracks. The third single from the debut album "Hide and Seek" reached No.12 in the UK singles chart, which was slightly disappointing after the previous single What is Love had reached No.2 in 1983. However, a No.12 in the 80s was still very successful and would probably have shifted substantially more copies than the majority of the singles do today. I bought the single for Like To Get To Know You Well on 12" from Woolworths, although I managed to break it within a week and had use sticky tape on the B-side to hold it together - I haven't heard the B-side since then! 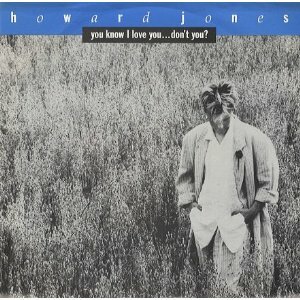 Released in August 1984 (Sept in the U.S.), this was Howard's fifth single release, reaching #4 in the UK and #49 on the Billboard Hot 100. 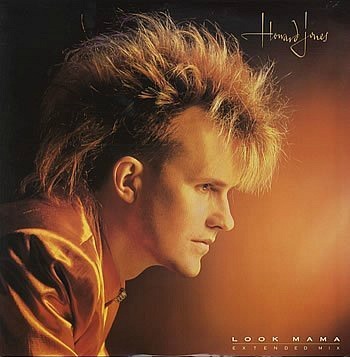 Look Mama was Howard Jones' seventh hit single of the 80s, reaching #10 in the UK in 1985. It was the second single to be released from his second studio album Dream Into Action, and the follow-up to Things Can Only Get Better which had reached #6 in the UK singles chart. Front sleeve from the Japanese import of for You Know I Love You Don't You? Disclosure: Simplyeighties.com is a participant in the Amazon Associate program. This allows us to earn fees by linking to products on their website.